Shot with 60mm Nikkor macro in January at Mahabaleshwar. No PP except for little light adjustment. Mom4squirrels: Someone wanted to sell the Nikkor 60mm so I had taken it to try it out. I had also tried my cousin's 105 mm which is a top-class lens but rather expensive. Then Bill Pador suggested Tamron 90mm f2.8 which was half the price of 105! I bought that and am more than satisfied with that, thanks Bill! :) On a personal level, I have always been happy with 90-105 range for close-ups. Beautiful colors and nice lighting! The colors are so beautiful..
wow ! I love these type of combination roses. Lovely capture. 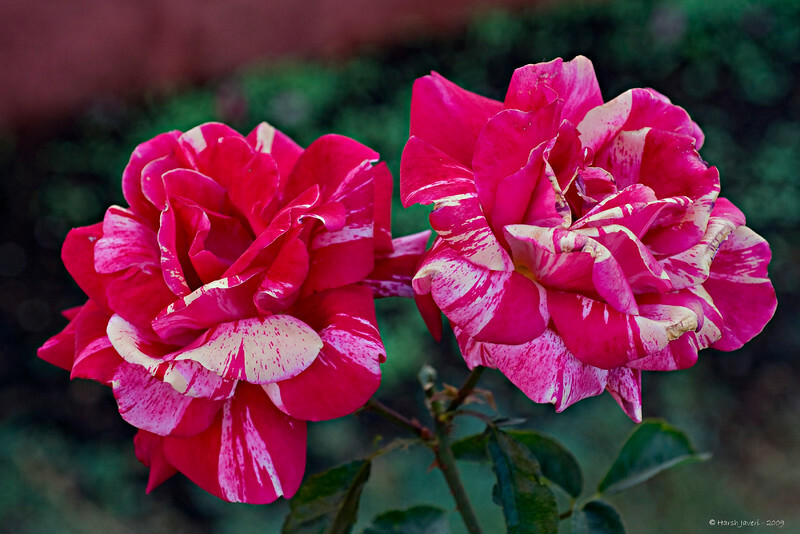 Beautiful shot, I love this rose..makes me think of peppermints. Great detail in this! Nicely done. Lovely roses with great details.